There are a few ingredients that I can’t get enough of… I will try to use them as often as possible. Turmeric, ginger, garlic, and honey are my pantry essentials. 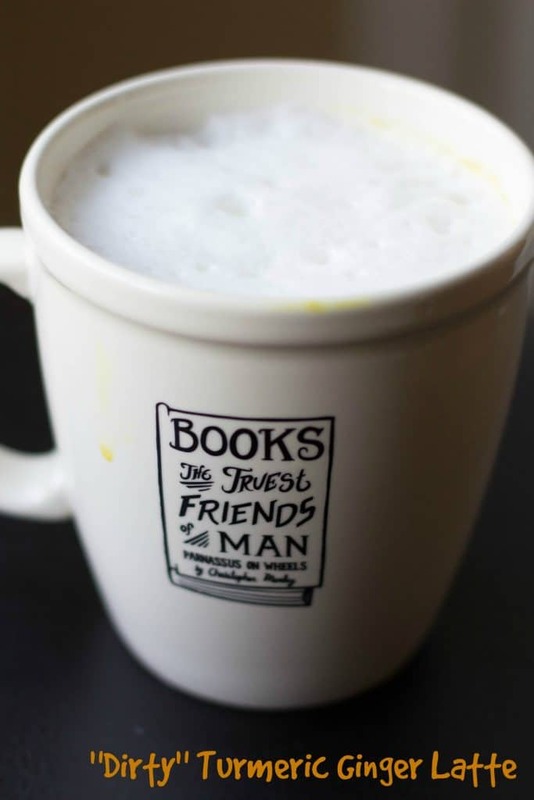 This turmeric ginger latte uses three of my favorite things. Clearly, turmeric and ginger, but also honey. Amazing. The funny back story about this turmeric ginger latte is my friend brought us these lattes one morning from a local coffee shop and we were all oohing and aahing over how smooth they were … only to find out a few weeks later that their turmeric ginger lattes were so smooth because they were using a pre-made concoction from a carton. Ha! So, these lattes are not going to be “poured from a container” smooth, but pretty close. All I did was whisk together our ingredients and then pour it through a sieve into my coffee mug. Easy. 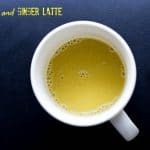 You can make a simple turmeric ginger latte with your favorite milk (almond milk tastes amazing with this!) and be done OR you can give yourself an extra boost and add some strong coffee or espresso to it. Would that make it a Dirty Turmeric Ginger Latte? Whatever you want to call it, it will rock your mornings. 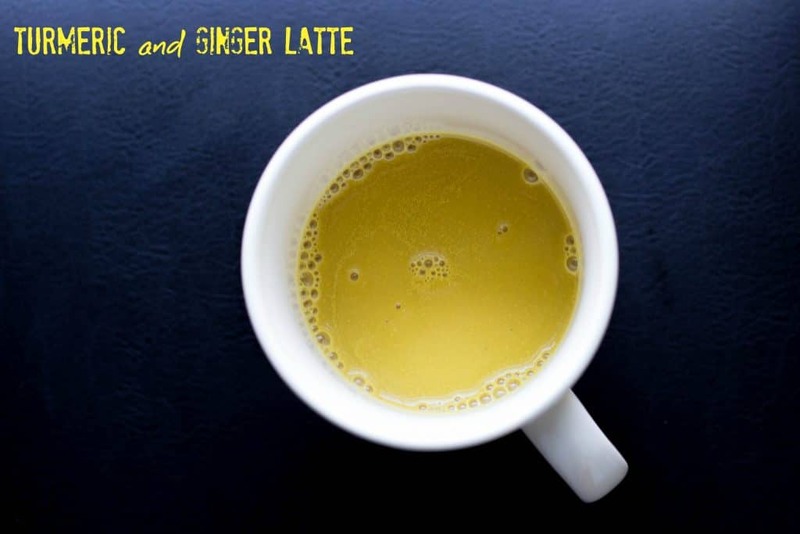 “Dirty” Turmeric Ginger Latte – Just Add Coffee! 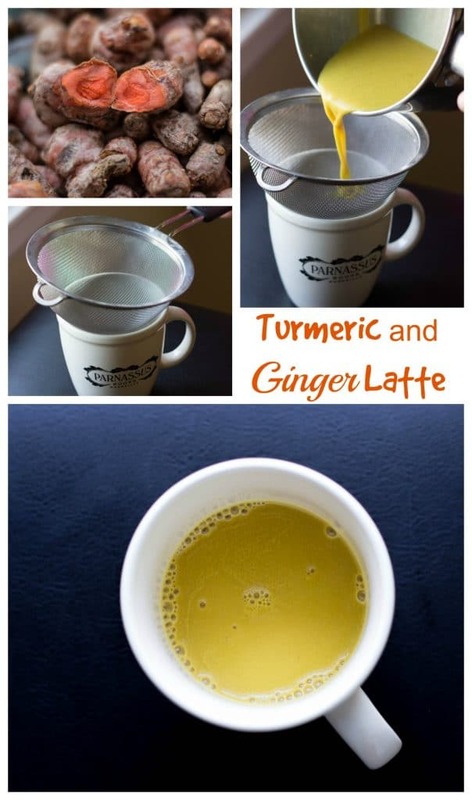 This easy turmeric ginger latte is delicious and good for you! Whisk together ginger, turmeric and honey in milk over low to medium heat. 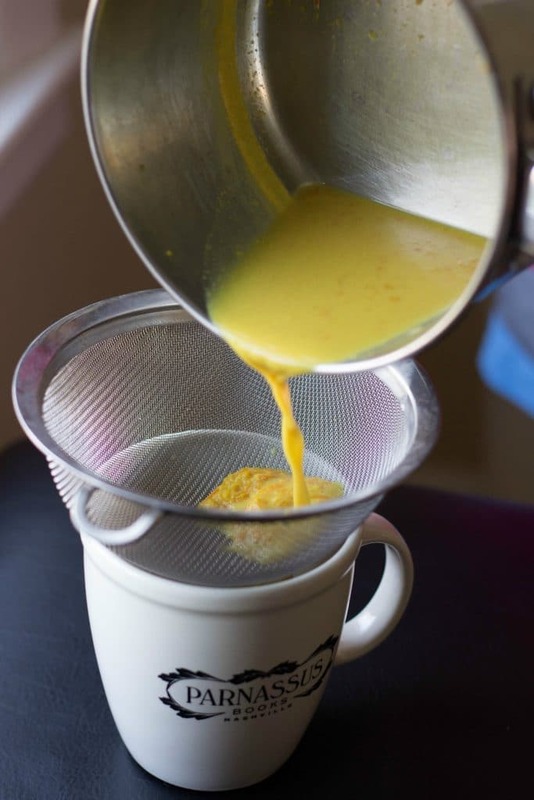 When the milk froths, remove from heat and pour through a sieve to strain out the turmeric and ginger. Top with additional frothed milk or add to espresso or strong coffee. Enjoy!